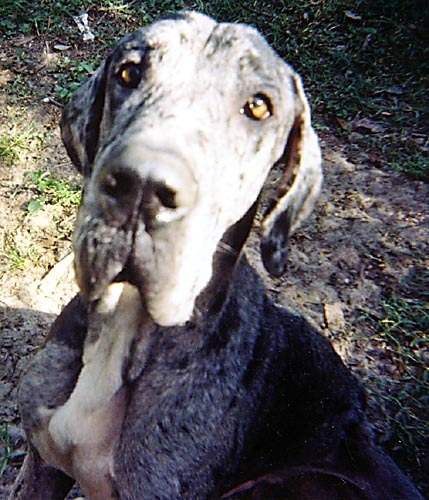 "Merle" is a 2 year old blue merle boy. He is huge--the biggest boy we've gotten into rescue. Would do well in a single pet household.